Poll: Should Karen Bradley resign as Northern Ireland Secretary? She has been sharply criticised for comments she made about killings during the Troubles. THE FAMILIES OF the Ballymurphy massacre victims have joined those calling for Karen Bradley to resign. On Wednesday, the UK’s Northern Ireland Secretary told the House of Commons the deaths in the North “that were at the hands of the military and police were not crimes”. Her comments caused uproar, with many politicians and others deeming them deeply offensive to victims’ families. Bradley later apologised, saying she was “profoundly sorry for the offence and hurt” that her words had caused, adding that she didn’t believe what she said. However, many people have called on her to resign over the remarks. 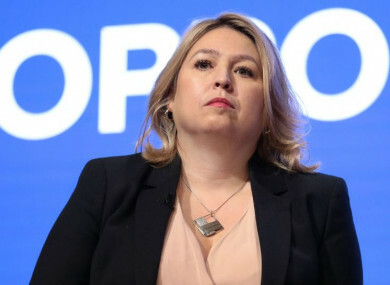 What do you think: Should Karen Bradley resign? Email “Poll: Should Karen Bradley resign as Northern Ireland Secretary? ”. Feedback on “Poll: Should Karen Bradley resign as Northern Ireland Secretary? ”.